'You have to kiss many frogs to find your prince charming'. Hopping straight out of a fairytale romance, this frog prince necklace just wants to be loved this Valentine's Day. 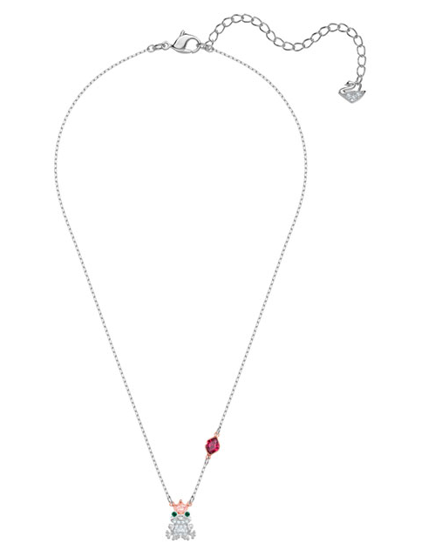 Cool and stylish in mixed metal platings, it sparkles with crystal pavé and features a pop of color on the chain with full-cut red crystal lips. A fun and playful accessory which would make a great and unconventional gift. Matching earrings are available.